Africa Aerospace and Defence (AAD) was held at Air Force Base Ysterplaat in Cape Town from the 21st to 25th of September 2010. 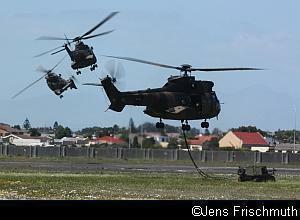 AAD 2010 is a premier event on the international aviation and defence calendar. As a showcase for civil and military aviation, maritime and land-based defence technologies, AAD is the largest exhibition of its kind in Africa. With the world-class infrastructure of South Africa, AAD is uniquely positioned for exhibiting companies to market their products and services to the entire African continent and beyond. As always, AAD2010 ran over three trade days followed by two days open to the general public. This allowed for networking opportunities and face-to-face business interaction and afforded exhibitors ample access to official delegations and decision makers. Exhibition space was sold out months before the event and 350 exhibitors from 31 countries exhibited their products and services and 7 countries had national pavilions. The trade days attracted 13000 trade visitors and 60 VIP delegations from 16 countries. The public days were attended by 80 000 visitors. A comprehensive flying programme, with slots for demonstration flights, enabled aerospace companies to demonstrate their products to potential clients. A dynamic vehicle track allowed for the demonstration of land-based products, while the close proximity to Cape Town harbour and the V&A Waterfront offered berthing of ships and other maritime exhibits. As usual, various firsts took place at AAD 2010. National Airways Corporation (NAC) showed off various products that were new to the South African market. Their Bell 429 helicopter and Hawker Beechcraft T-6 military trainer were seen on the African continent for the first time. The luxury Hawker 4000 business jet was also new to AAD, although not new to the country. Also new was a next-generation King Air 350i ER and a Pacific Aerospace P-750 XSTOL turboprop aircraft equipped with the Carl Zeiss Optronics airbourne surveillance system. In what is probably a world first, the Hawker 4000, King Air 350i and P-750 made their appearances on fully synthetic jet fuel developed in South Africa by Sasol. 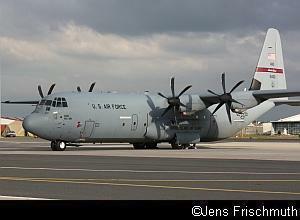 In the wake of the South African government's decision to terminate its eight-aircraft order for the Airbus Military A400M, much attention focused on South Africa's need for transport, air refuelling and maritime patrol aircraft as replacements for its aging fleet of Hercules C-130BZs, Turbo Dakotas and CASA 212 light transports. Thus, various companies brought demonstration aircraft to South Africa and a Boeing C-17, Lockheed Martin C-130J and Alenia Aeronautica C-27J featured prominently during the week's proceedings. 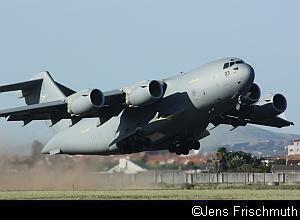 The Boeing C-17 Globemaster III, the largest aircraft at AAD2010, was flown in from Papa Air Base in Hungary, where it is based with the Heavy Airlift Wing (HAW). The HAW's core competencies include air refuelling, single ship airdrop, assault landings and all-weather operations day or night into low to medium threat environments. 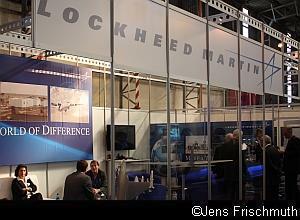 The crew that manned the aircraft at AAD 2010 was from Charlston, Carolina. They are a reserve unit helping out when needed and went back to their regular jobs after their deployment. The C-17 arrived in South Africa with a Pavehawk helicopter, Predator drone and 34 personnel and there was room for more cargo. It needs a crew of only three to operate (2 pilots and a loadmaster) for operations up to 18 hours and with a crew of 3 pilots and 2 loadmasters, it can operate for up to 24 hours. Despite its size, the aircraft has a short landing capability and can function off a 3000ft runway, enabling it to use 6000 more airfields around the world than regular wide-bodied aircraft. The Lockheed Martin C130-J Hercules flew in from the United States and was operated by a crew from the Rhode Island Air National Guard. As the SAAF already operates the C130-BZ variant of the Hercules, much of the infrastructure to operate this enhanced version would already be in place. The C130-J has a 40% larger cargo compartment, an enhanced cargo handling system and the ability to perform airdrops at 250kts as opposed to the 150kts that the older model can do. It has increased speed, agility, survivability and increased hot-high performance and has better adverse-weather and night capabilities. 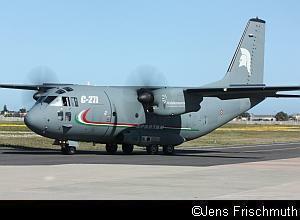 The Alenia Aeronautica C-27J, the smallest of the three cargo planes present, is an advanced derivative of the Alenia Aeronautica G.222 with the engines and systems of the Lockheed Martin C-130J. It is ideal for short-field operations and is easily maintained in the field. It has outstanding performance for an aircraft of its size, advanced navigation equipment and its long endurance means that it also has an inherent maritime patrol capability. The USAF also brought along a Pavehawk AH60G helicopter, which is the Air Force's version of the venerable Blackhawk helicopter. Russian Helicopters, the holding company that unites the country's helicopter manufacturers, had a strong presence at AAD 2010. 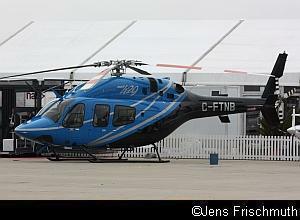 Russian Helicopters is developing several new models incorporating the latest avionics and engine technology. They brought along a twin-engined Ansat helicopter, which made its debut in South Africa and is being promoted for the African market. The Ansat is a Russian light, multipurpose helicopter manufactured by Kazan Helicopters. It can transport up to nine passengers and two crew or carry up to 1073kg cargo inside the cabin plus 1250kg on an external sling. 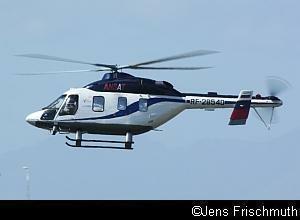 It can also be adapted for VIP transport, search and rescue or for emergency medical rescues. 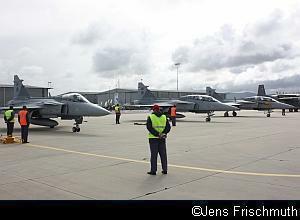 Since AAD 2008, the country's new SAAB Gripen fighter has acquired air-to-air missiles and a ground attack capability and is now fully operational. There are currently 15 aircraft in service, with six Gripen Cs and eight Gripen Ds allocated to 2 Squadron at AFB Makhado. The first South African Gripen made its public debut at AAD 2006 and at AAD 2008, the first four aircraft were officially handed over to the South African Air Force. 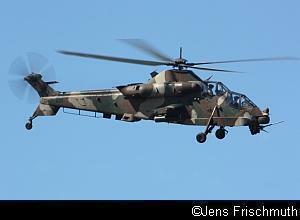 The Rooivalk, South Africa's attack helicopter, has also had an upgrade and the first upgraded Block 1F Rooivalk was about to be delivered back to the SAAF. The Block 1F upgrade retrofit programme encompasses 140 modifications including new navigation and communication systems and improved weapons accuracy for the 20mm cannon and 70mm rockets. The remaining aircraft are to be upgraded during 2011. As usual, the two public days were also the two airshow days. Although many of the planes that were on static display during the trade days departed before the public days, many of the overseas visitors took part in the airshow. The Boeing C-17 flew twice each day and at the end of the second day, performed a formation flypast with the Silver Falcons. The C130-J Hercules also did solo displays on each day and then took part in a simulated rescue of a downed fighter pilot with the Pavehawk helicopter on each day. 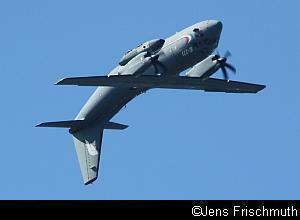 However, the undoubted star of the airshow was the Alenia C-27J Spartan. Test pilots Enrico Scarabotto and Gianni Ammoniaci, who fly on the world circuit and are both retired generals, flew the displays. From a 300m take-off, they went straight into a barrel roll. Then, they performed an incredible display which included turns at an 80° bank angle at 500 ft and showed off the 60°/sec roll rate of the aircraft. Showing off the extreme manoeuvrability of the aircraft is meant to show the operational capabilities of the aircraft to get in and out of threatening situations with minimal risk to the aircraft. Other international participation was provided by solo displays of the Russian Ansat helicopter and a K-8 jet trainer from the Zimbabwean Air Force. The K-8 is a tandem-seat advanced jet trainer with a low-set, unswept wing that has been co-produced by Pakistan and China. It first flew in 1991. As at previous AADs, the SAAF contributed greatly to the success of the event and the flying displays featured just about all the aircraft types currently in service. A mini-war staged around lunchtime on each day focussed on the rescue of a helicopter crew that went down in enemy territory. All five helicopter types currently operated by the SAAF (Bk117, Oryx, Agusta A109, Lynx and Rooivalk) took part in the exercise. At the end, they all took part in a mass flypast. Two BK117s also performed formation displays and the A109, Lynx, Rooivalk and Oryx performed various individual displays throughout the two days. The Oryx released flares as part of its display on both days. Also around lunchtime on both days, various tanks and military vehicles were put though their paces on the dynamic vehicle track immediately in front of the crowd line. Making its first appearance in South Africa was the German Leopard 2A4 Main Battle Tank, which is a potential replacement for the Olifant Main Battle Tank currently used by the South African Armoured Corps. 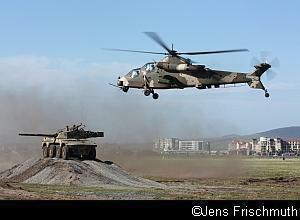 The Rooikat, a wheeled armoured fighting vehicle built in South Africa, was also put through its places and then posed for an impressive photo opportunity with the Rooivalk helicopter hovering above it. The air force's fast jets were displayed in the capable hands of Geoff Corser (BAE Hawk) and test pilot Charl Coetzee (Gripen). 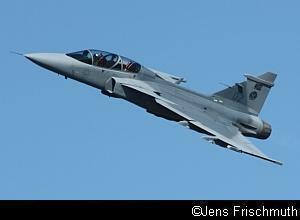 Although there were three Gripens at AAD2010, only one took part in the airshow. However, the others did take part in Exercise Ibsamar II, a naval exercise held between the Navies of India, Brazil and South Africa at the same time as AAD (from the 6th to 24th of September) and one was placed on static display. Four Douglas C-47s took part in a formation flypast in celebration of the 75th anniversary of the Dakota, which first flew in December 1935. 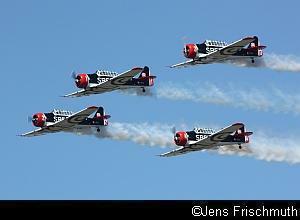 The formation was led by the SAAF Museum's C-47, which is still equipped with radial engines. 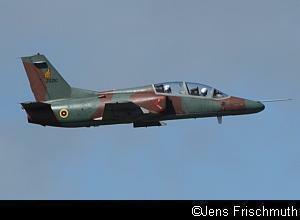 The other three aircraft were from 35 Squadron based at AFB Ysterplaat. 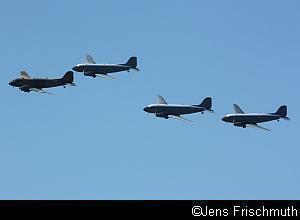 The C-47 first entered service with the SAAF in 1943 and has seen active service ever since. In the early 1990s, many were modernised with turboprops replacing the redial engines. The other SAAF Museum aircraft flown was the North American AT-6 Harvard, serial 7231, operated by the Ysterplaat branch of the museum. Casa 212s and Cessna Caravans were the other SAAF transport aircraft that took part in the airshow. 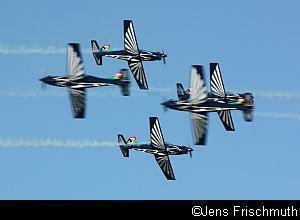 The Silver Falcons flew a completely new display routine at AAD2010. New features included the formation breaking into elements of two and three planes and then performing various cross-overs not previously seen. The team, consisting of Maj. Scott Ternent, Capt. Roy Sproul, Capt. Buti Tsebe, Capt. Gerhard Lourens and Maj. Nico Frylinck, was in Italy at the beginning of September to celebrate the 50th anniversary of Italy's jet display team, the Frecce Tricolori. Pilots from all the world's leading display teams met at AFB Rivolto and many friendships were made and ideas exchanged. At the end of the last day at AAD 2010, the Silver Falcons did a formation flypast with the Boeing C-17 Globemaster. 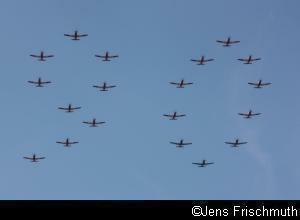 As part of the celebrations of the 90th anniversary of the South African Air Force, 19 Pilatus PC-7 Astras from the Central Flying School at Air Force Langebaanweg flew a formation flypast in a formation that spelled out the number "90". Various civilian display teams completed the line-up. Top display pilots Mike Weingartz and Pierre Gouws demonstrated two privately owned L-39 jet trainers. The ever-popular North American AT-6 Harvards of the Flying Lions appeared in their new Cell C livery for the first time. The same four pilots (Scully Levin, Ellis Levin, Arnie Meneghelli and Stewart Lithgow) also flew the RV formation display, using Vance RV-7 and RV-8 planes. 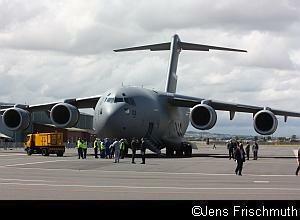 After staging three successful exhibitions in Cape Town in 2006, 2008 and 2010, African Aerospace & Defence now returns to the refurbished AFB Waterkloof in Pretoria for AAD2012. An interesting postscript is that Major General Maggie Woodward, who was in charge of the United States Air Force deployment to AAD2010, would become the first woman to lead a major military air campaign in March 2011, when she was put in charge of the US-lead air campaign to impose the no-fly zone over Libya. Copyright (c) goingairside.com. All rights reserved. Design by Free CSS Templates.